A professor of Ophthalmology at Baqiatallah University of Medical Sciences, Dr Khosro Jadidi has so far dedicated more than 20 years of his life to treatment of ophthalmic diseases. After graduating from high school in 1980, Dr Jadidi felt honor bound to serve on the Iraq-Iran war frontlines to defend his country against the invasion of the enemy. Having served for six years in the war zones, observing the strong need for medical assistance for the wounded soldiers, Dr Jadidi became determined to study medicine. He started to study hard for the national university entrance exam and after 6 months of burning the midnight oil, he participated in the exam and ranked high enough to enter the prestigious Shahid Beheshti University of Medical Sciences (SBUMS). Dr Jadidi earned his MD in 1993 and after being among the 1% top students, he immediately sought a PhD in Ophthalmology at the same university and passed the residency in this field at Labbafinejad Hospital affiliated to SBUMS. In 2003, as Dr Jadidi’s thirst for knowledge had not been fully satisfied, he sought a fellowship in Cornea and Anterior Segment at SBUMS and after that he continued his career at Baqiatallah Hospital. Dr Jadidi has authored and co-authored numerous peer-reviewed scientific articles and has participated and presented papers at multiple conferences at national and international level. His contributions have earned him wide recognition from international experts. Dr Jadidi was a pioneer in conducting research in transplantation of stem cells for the war-disabled who lost their vision because of the chemical attacks of the Sadaam regime. 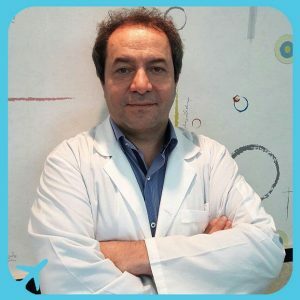 For the first time in the world, Dr Jadidi and his team successfully transplanted stem cells from living donors to chemical attack victims’ eyes. Following this breakthrough, he continued his research for two years until he succeeded in finding a way to harvest stem cells from the patients themselves and then culture them in a laboratory to produce enough cells for the transplantation. They have so far treated 30 patients with this method.